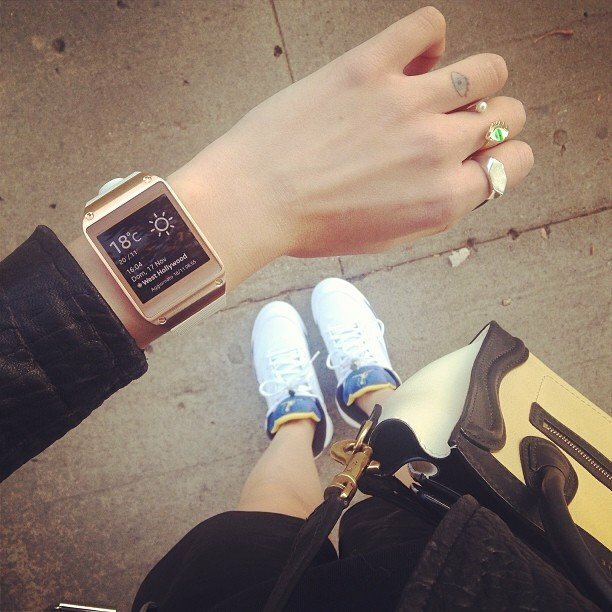 I came across the Galaxy Gear smartwatch while browsing Fancy. Take a closer look at all the information that the Galaxy Gear makes available to you right on your wrist. I have a general sense of awareness such that if I were walking down the street in West Hollywood, I'd already know that I was in West Hollywood. I don't think I've ever forgotten what city I was in because I got distracted by telling the time. And if I did I could look at my surroundings and probably figure it out. While walking down the street, I know what the weather is just by acting as a sentient being in my environment. I can both feel the temperature outside on my skin and see with my eyes if the sun is out. Over the years I've even grown quite adept at using only my eyes to determine if it's cloudy, or if it's, say, nighttime. I kid, of course. 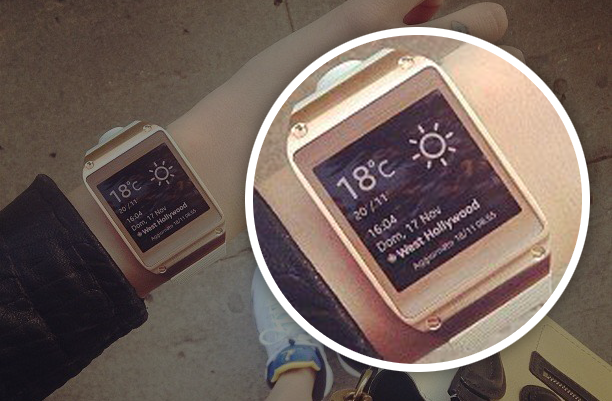 The Galaxy Gear Smartwatch is, in all fairness, at least a conversation starter. If I ever encounter this Girl With The Finger Tattoo, I'll have a better ice breaker than I do with most women: "Excuse me, Ma'am, do you have the temperature?"